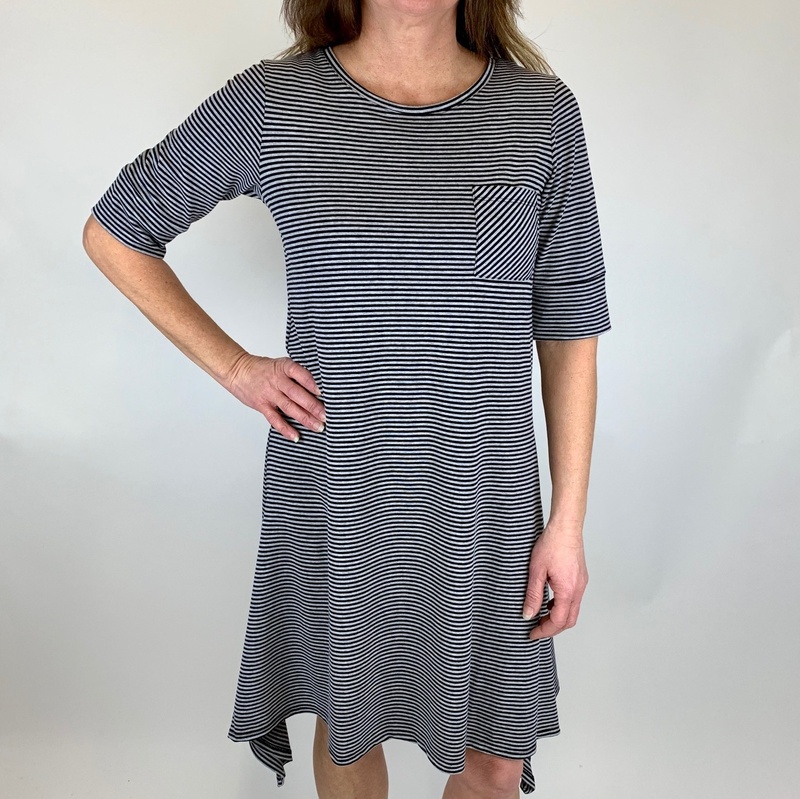 A black and grey striped dress with an elbow length sleeve and a flowy comfortable fit. 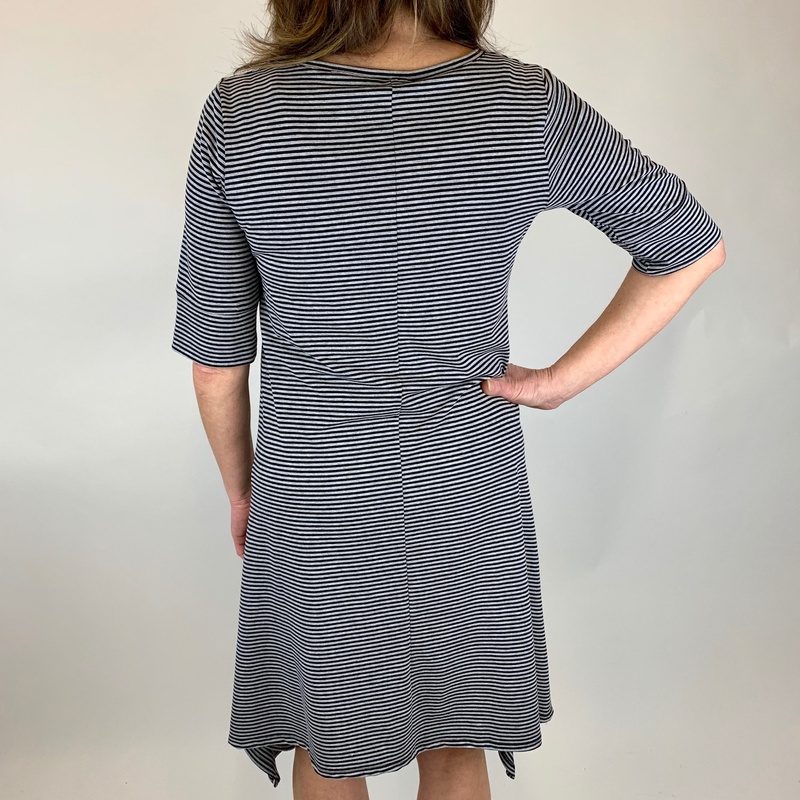 This piece hits around the knee on most gals and has sharkbite sides. Add a sandal for the summer.